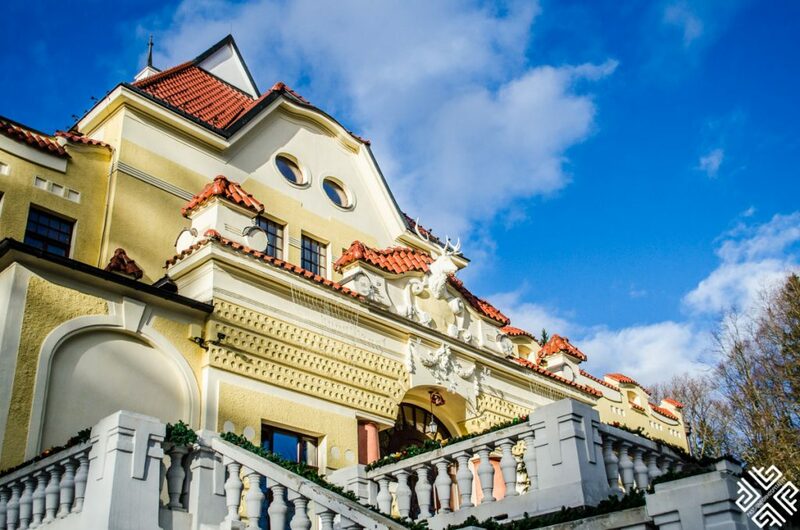 In the heart of the renowned spa town of Marianske Lazne, high on a gentle hill overlooking the peaceful Slavkovsky forest is the spectacular site of the Rubezahl Marienbad Luxury Historical Castle Hotel & Golf. 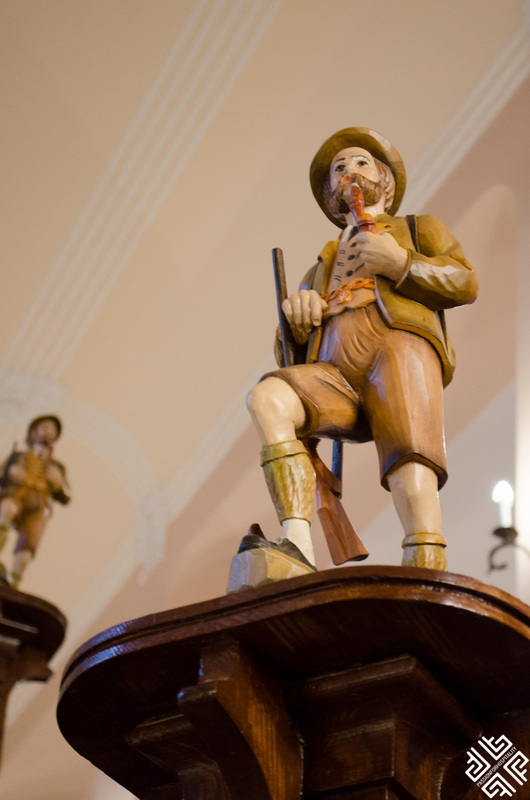 Steeped in history and legendary tales this grand property offers its guests an extraordinary fairytale experience. The hotel was built in the early 20th century by a famous Viennese architect, Arnold Heymann to reflect the famous myth of Rubezahl — a folklore mountain spirit. 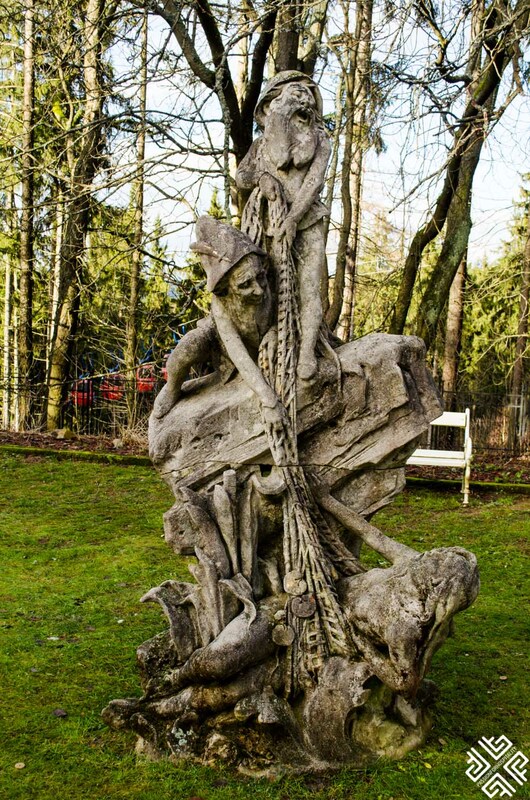 A 3.5 meter granite statue of this important character stands on the hotel’s grounds until this day. 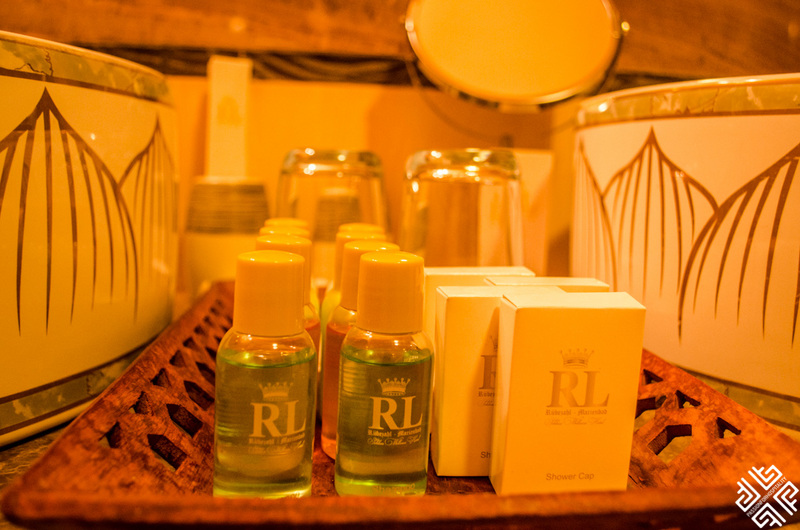 Initially the luxury property welcomed only royal family members and was a favourite holiday retreat of king of England, Edward VII who would escape to this charming castle hotel to revitalise his body and spirit. He was well known for his mistresses and diplomatic skills. 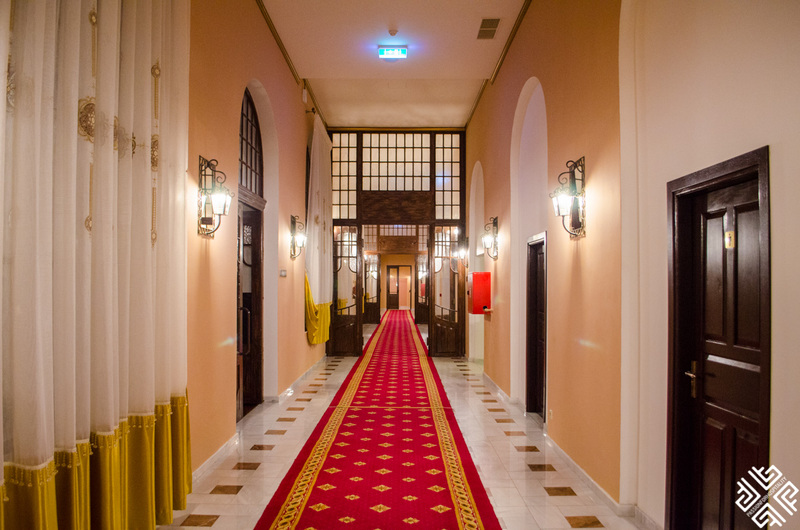 Soon afterwards the hotel opened its doors to the noble men and women of the era. 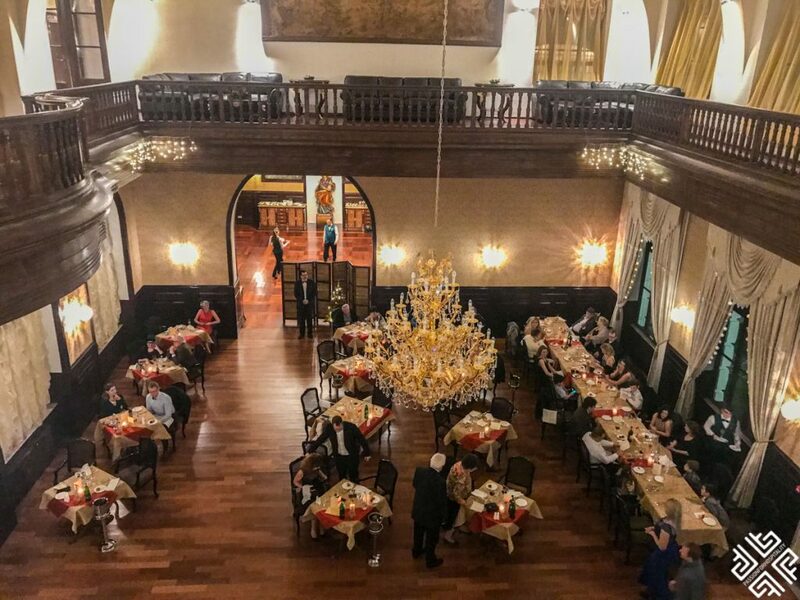 A playground for the rich and famous, where they would wine and dine, dance and mingle at the extravagant private banquets. 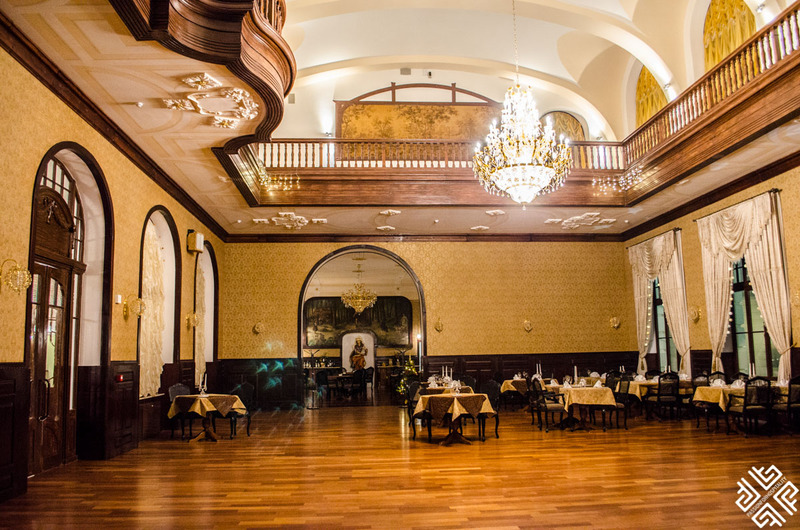 During the time period between 1920-1991, the hotel changed several owners and as a result it was left abandoned by its last private investor in 1991 until its current owner discovered and fell in love with this jewel in 2008. He made a wish to the legendary Rubezahl asking him to fulfil his dream to restore this unique castle. 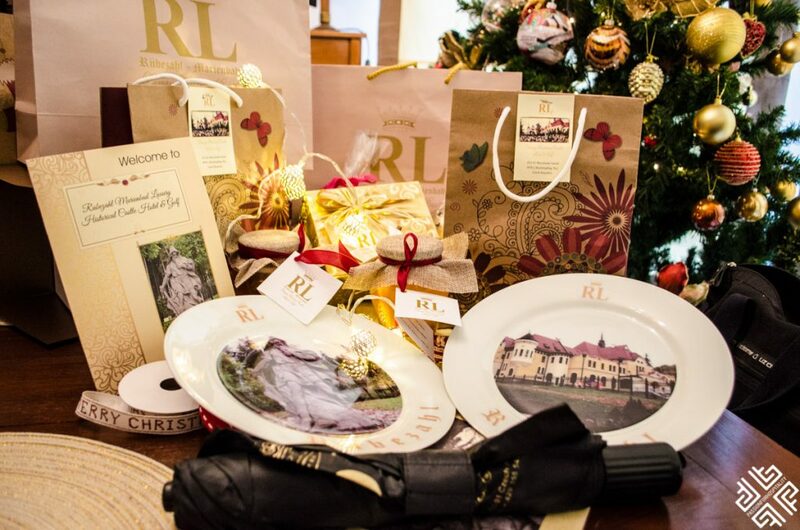 Following a complete reconstruction and renovation, retaining the original character and design Rubezahl Marienbad Luxury Historical Castle Hotel & Golf reopened in 2015. 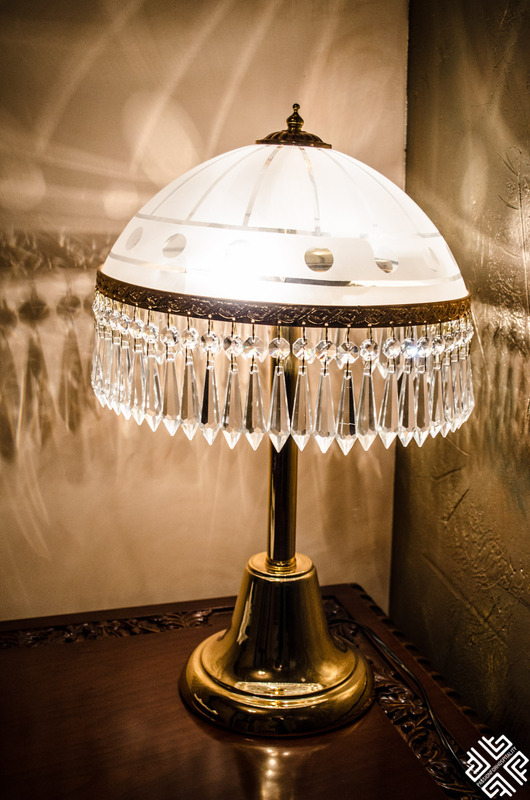 Inviting the best craftsmen from around the world and importing only the finest materials, the hotel was successfully restored to its initial glory. 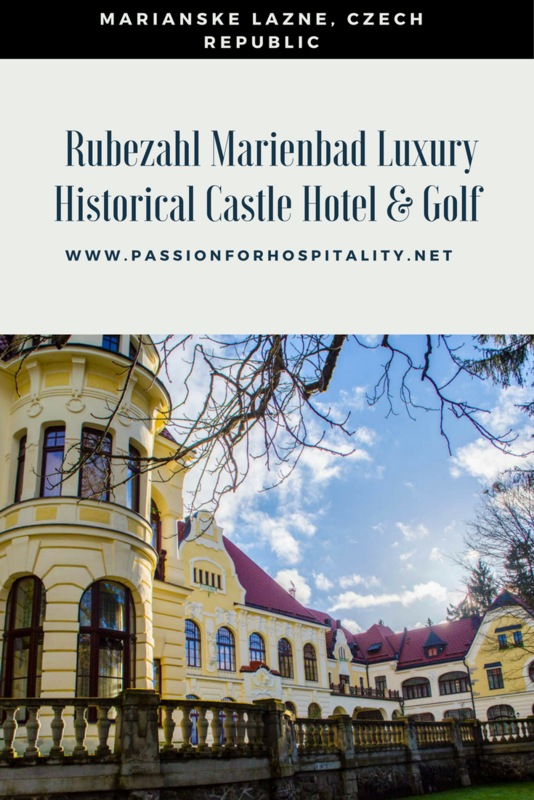 The Rubezahl Marienbad Luxury Historical Castle Hotel & Golf was a labor of love and dedication for this historical property from the very beginning, created to impress and astonish its guests. 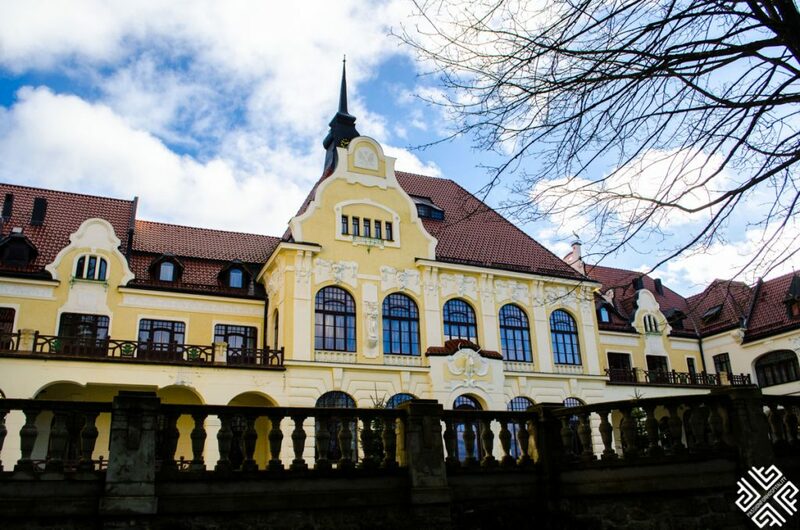 Today it is one of the finest luxury hotels in Czech Republic. 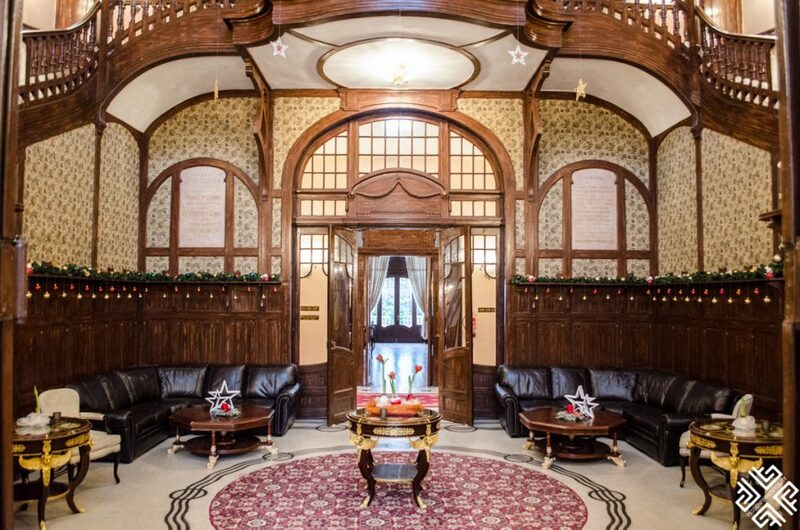 At this magical luxury castle hotel in Marianske Lazne not only will you revitalise your body, mind and soul but it is also a place where wishes come true. 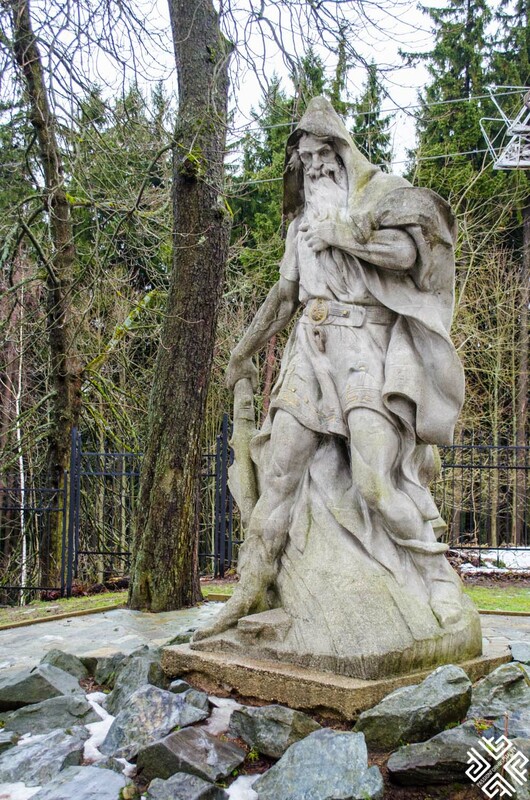 Between Bohemia and Silesia, stretching along the ancient Krkonoše mountain range, there is a legend of the Lord of the Mountains who goes by the name Rübezahl. This legendary creature would turn himself into a frog, a wolf, a monk or an old grandmother. For those who would come across his path and treat him with kindness, in return he would bless them with good health and abundance. Those who would treat him badly would call disaster upon themselves. 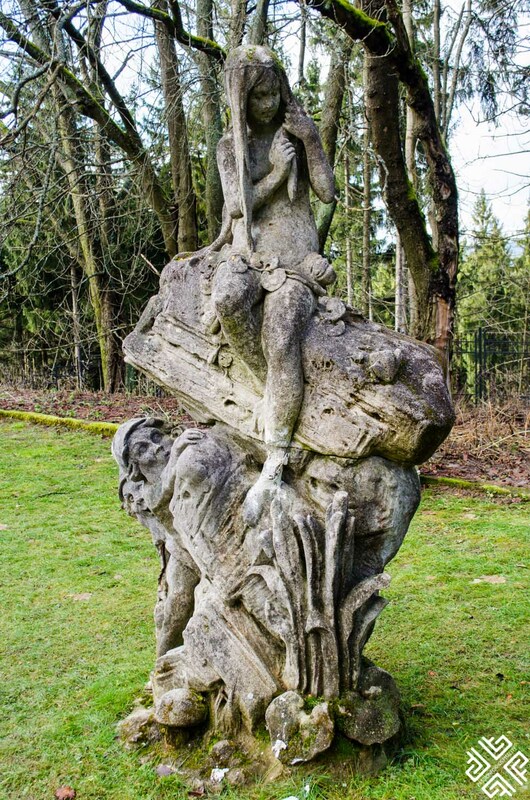 The myth has it that you must hop on one leg, five times around the statue of Rübezahl. Once you succeed only then you can reach for his belt and make your wish. The protector of the mountains is there to test your goodwill this is why he would transform himself into helpless characters like the old lady who would ask for help. Only those with a pure heart will find their answers and will be granted their wish. 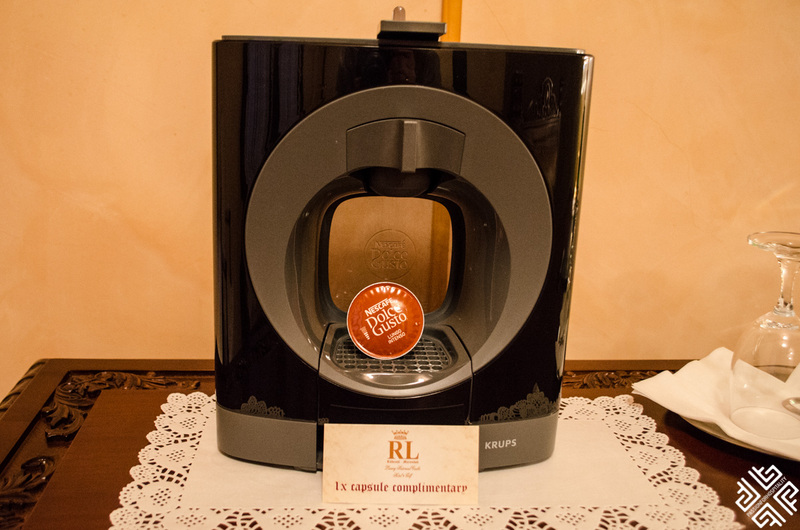 During my stay at the luxury historical castle I did manage to complete the five circles, not an easy task I might say. The glory of reaching for the belt was a rewarding feeling indeed. Now I will have to wait for my wish to come true. For those who successfully complete the mission will be awarded with a Blessing Certificate to remind you of your unique visit to meet the protector of the mountains. 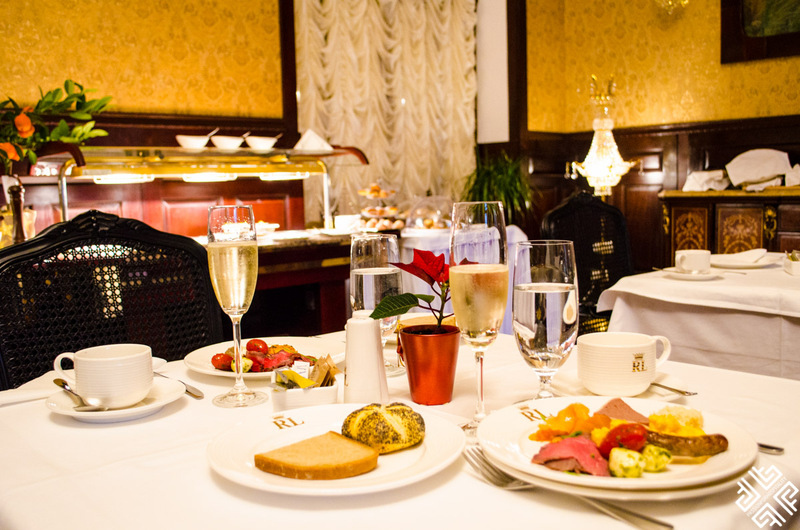 A member of Historic Hotels of Europe, Rubezahl Marienbad Luxury Historical Castle Hotel & Golf offers 43 elegantly appointed guestrooms and suites spanning across the three floors of this historical castle hotel. 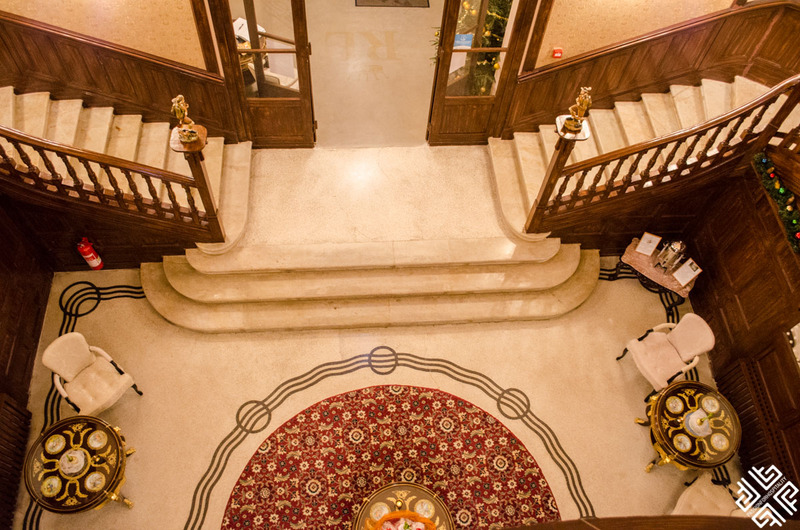 The ground floor of the hotel is decorated with classical architectural elements and two grand dark wood staircases lead towards the second floor. 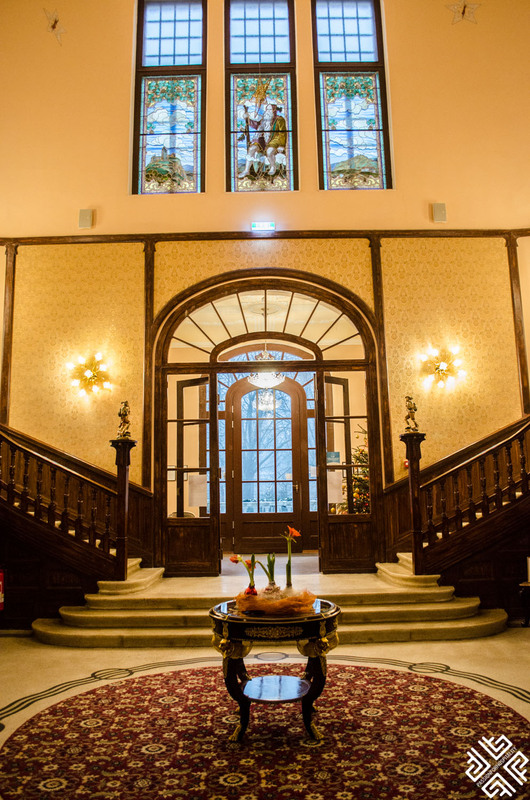 The main lobby situated in the centre of the curved staircases is decorated with ornate woodwork and stained-glass windows adding colour to the rays of light entering the castle. 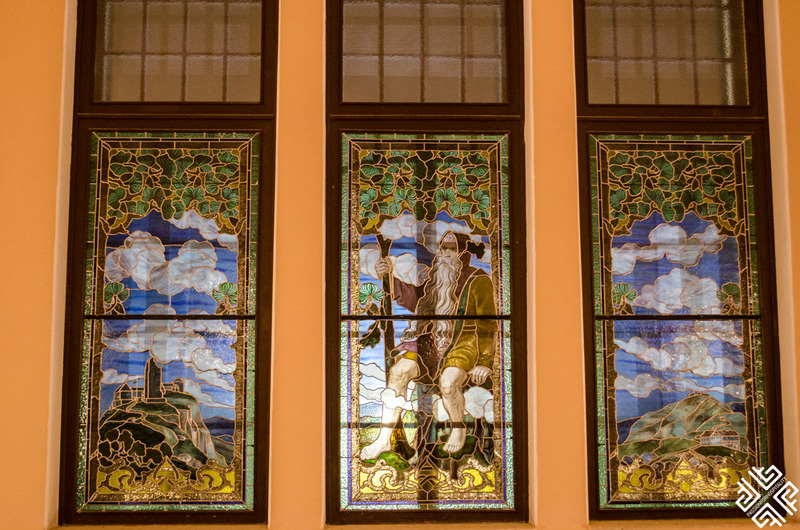 The second and the third floor feature gothic elements such as towers, donjons, domes, and sculptures. The statue of the key holder located on the left side of the hotel holds an important role in the renovation process of the hotel. 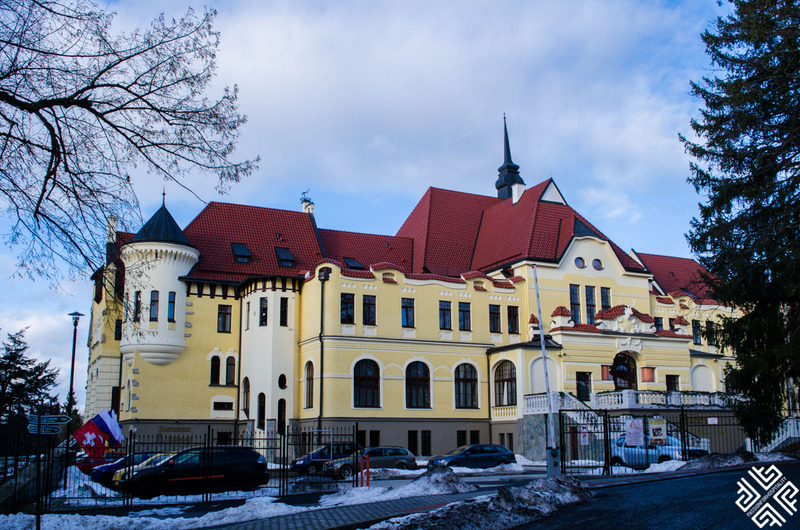 Only when it was placed in its original position, the project was successfully completed. 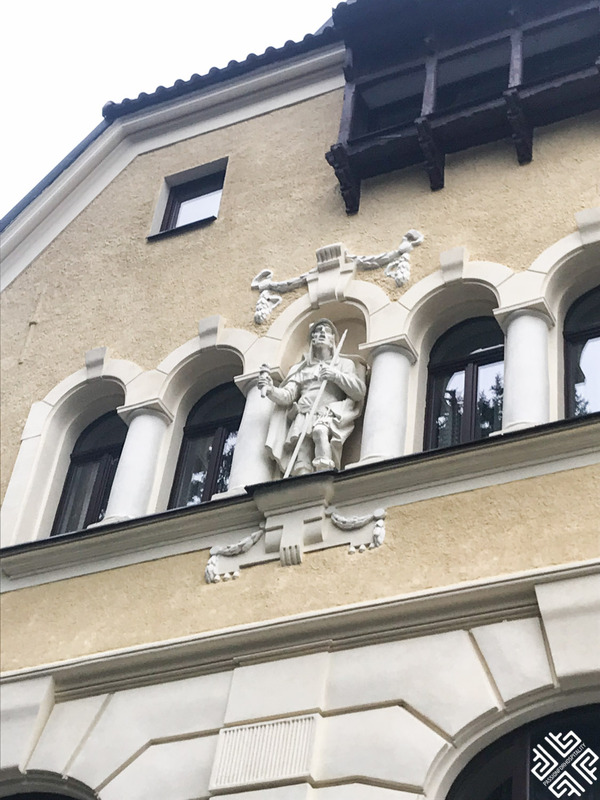 If you look closely the balconies are decorated with frogs which resemble the traditional tale of Rübezahl whose legacy is evident in all the fine details of the hotel. 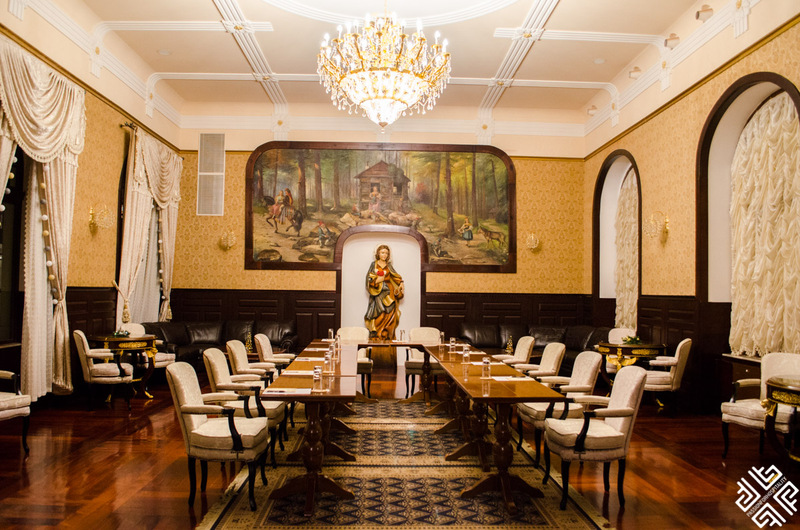 Numerous original frescoes and paintings dating back to 1903 were successfully restored and can be admired inside the hotel. 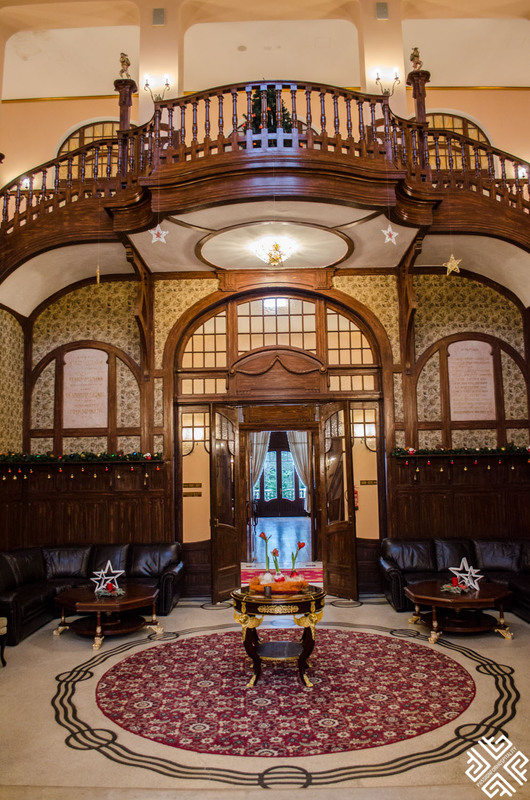 Upon arrival to this luxury historical castle in Czech Republic we were greeted by the friendly hotel staff and seated in the plush leather couches to enjoy our welcome drink — Glühwein. 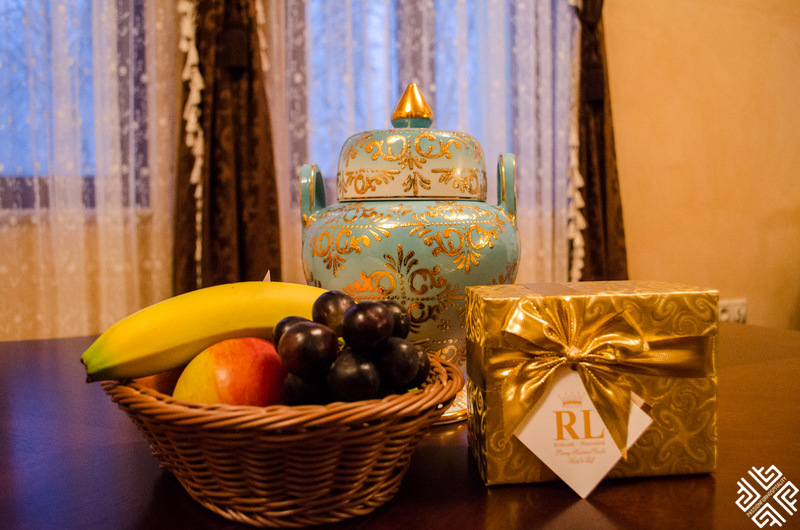 During our New Year’s holiday at the Rubezahl Marienbad Luxury Historical Castle Hotel & Golf we stayed in a beautiful suite (216) located on the second floor. Once you arrive to this spectacular property you get the feeling of being right at home. 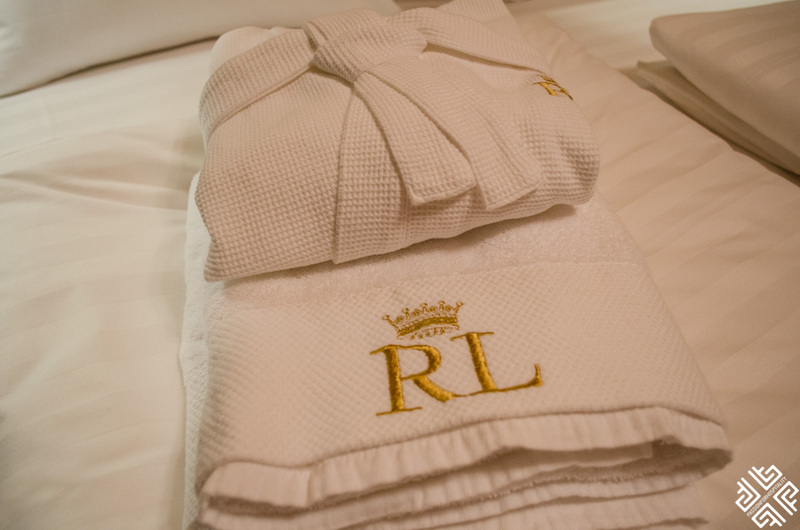 Every exquisite detail of our suite sang elegance, comfort and luxury. 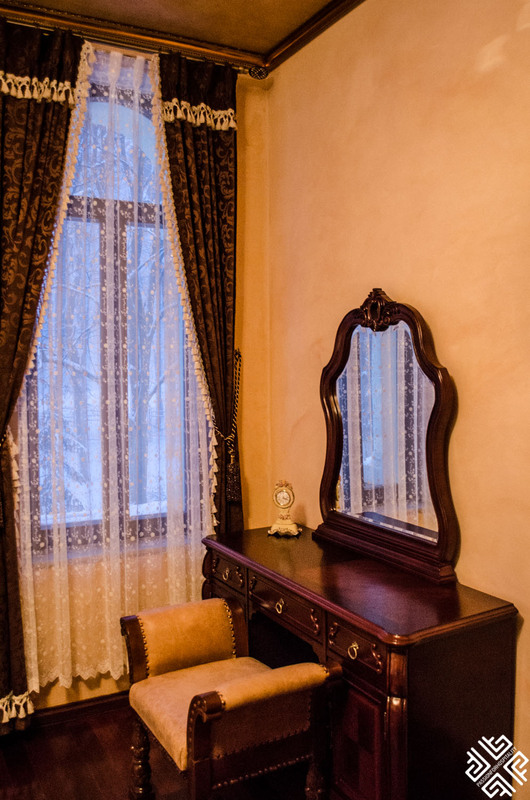 The 50 square meter suite features a separate bedroom with high ceiling windows opening up to the lush forest which was covered with snow on the day of our arrival. 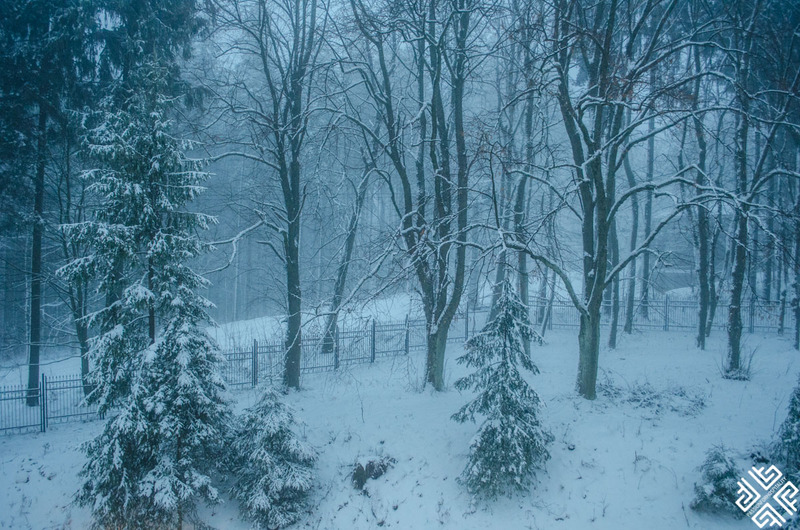 From the window of our guest room we could see the ski lifts passing by. 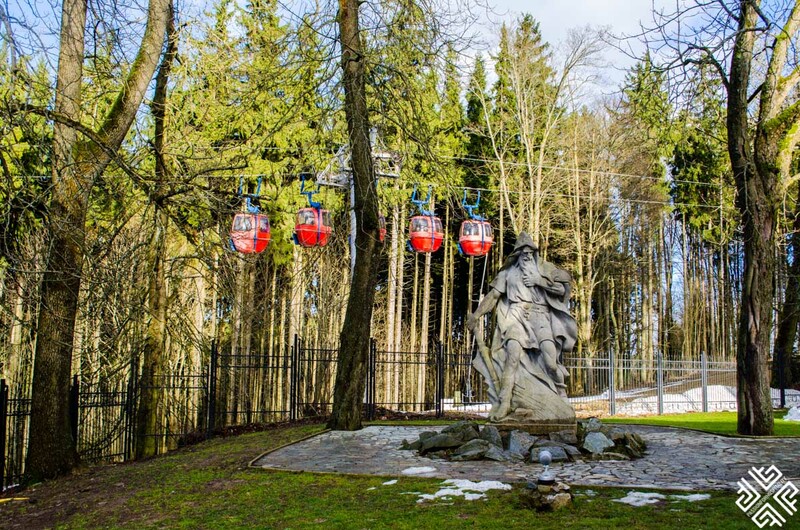 There is a ski centre right outside the grounds of the hotel. 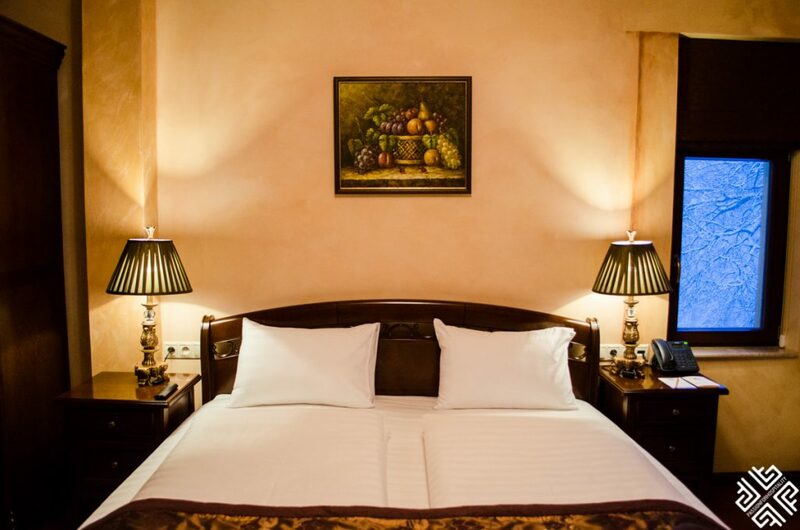 The bedroom is graced with a mahogany wood twin bed with an eco orthopedic mattress which guarantees a deeply refreshing night’s sleep, dressing table and a wooden closet. 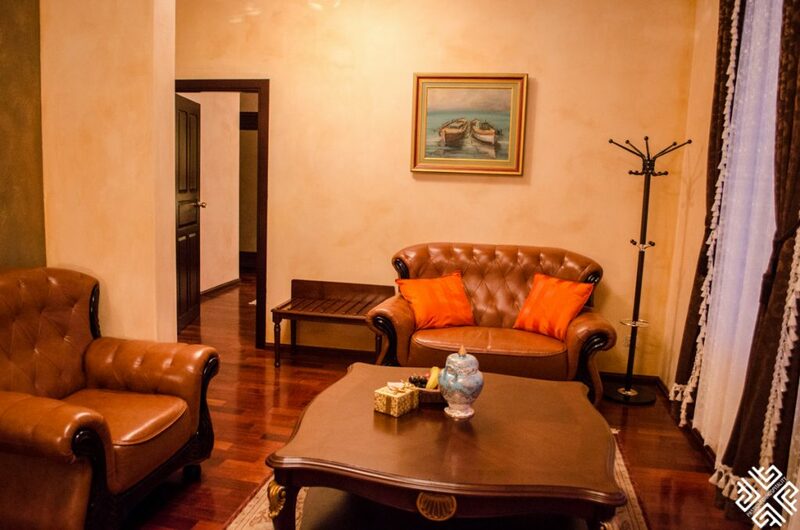 You can relax in the next-door private sitting room featuring a leather sofa, coffee table and armchair. There is also a spacious wooden work desk. The paintings, curtains, beautiful thick carpets, merbau floors and crystal table lamps complement the rich and elegant colours of the space. 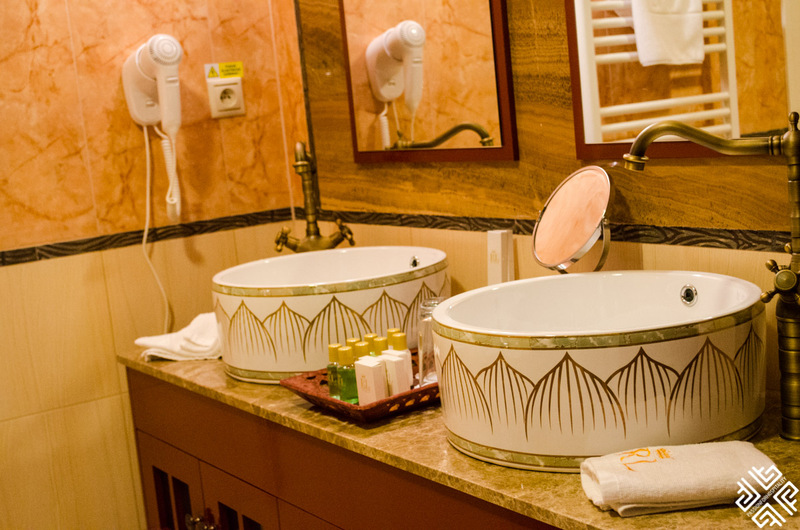 The grand marble bathroom with double vanity features a hydromassage shower cabin, lush embroidered bath towels, toiletries, hairdryer, bathrobes and slippers. 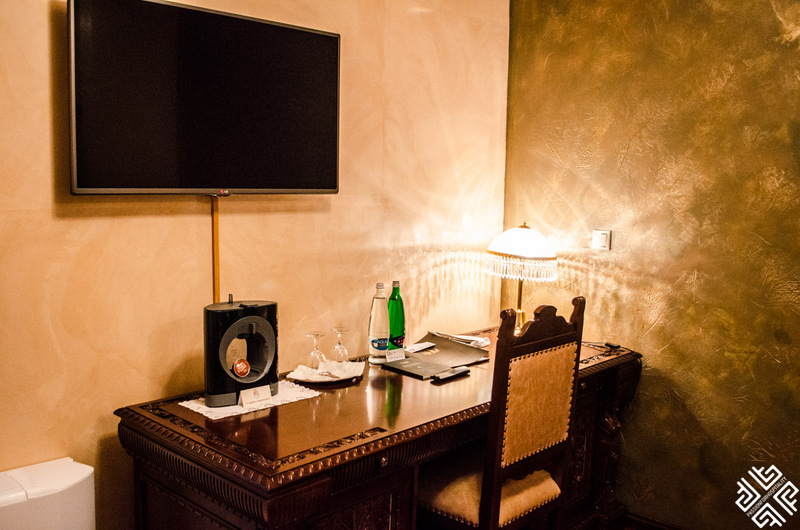 There is a fully stocked mini bar and an espresso making machine, the Wi-Fi was complementary and the connection worked perfectly in all areas of the hotel. 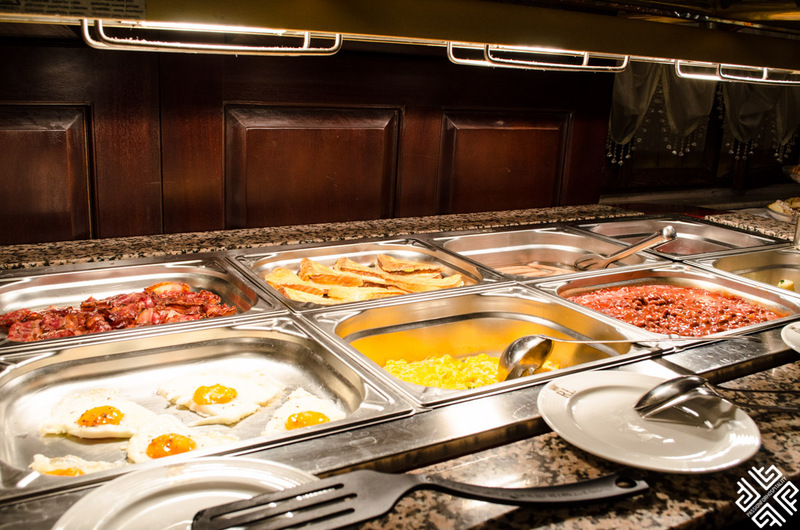 In the morning the wonderful Café — Restaurant situated on the ground floor of the castle hotel with captivating views of the outside royal-like gardens offers a champagne breakfast buffet to give you a splendid start of the day. 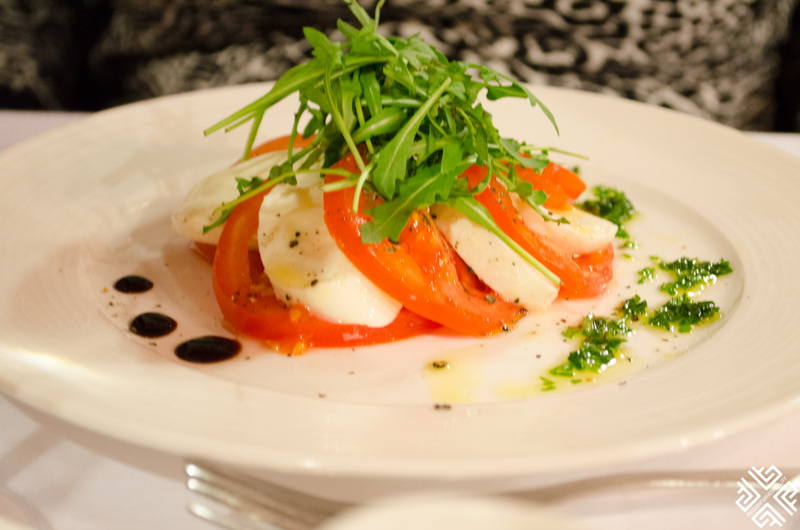 White crisp tablecloths, beautiful porcelain tableware and attentive service is a haven of welcome and warmth. The regularly replenished buffet features a selection of cheeses, cold cuts, salmon, egg dishes, beans, sausages, cereals, yogurts, a selection of fresh breads, croissants and other sweet delights like lemon pie and fruit tarts. 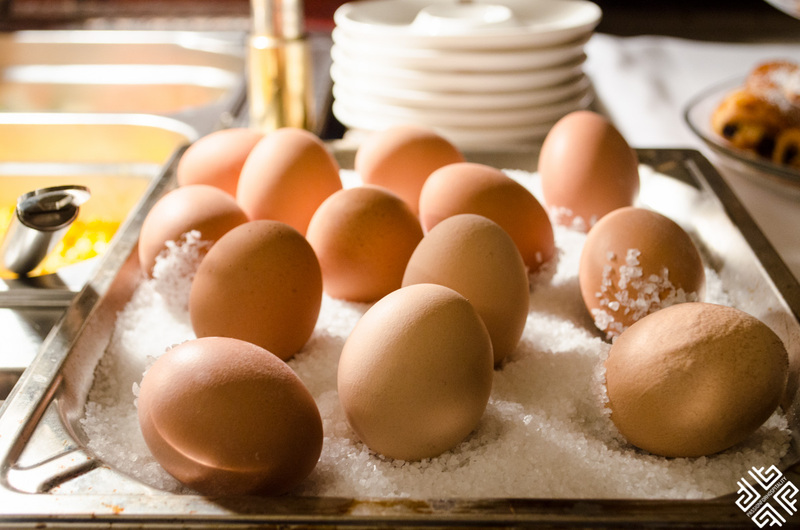 Coffee was refilled generously and the whole breakfast was a feast for all the senses. 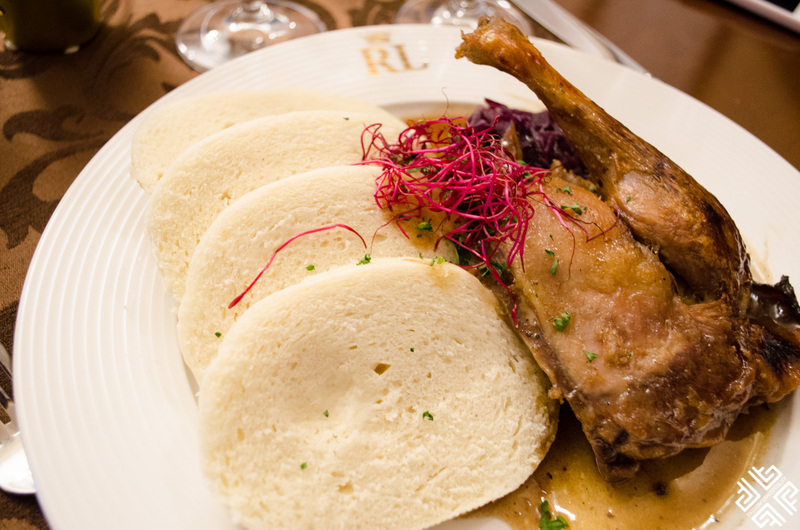 Experience a gracious evening of fine-dining by candle light at the à-la-carte restaurant serving a rich menu based on Czech Republic’s artisan ingredients. 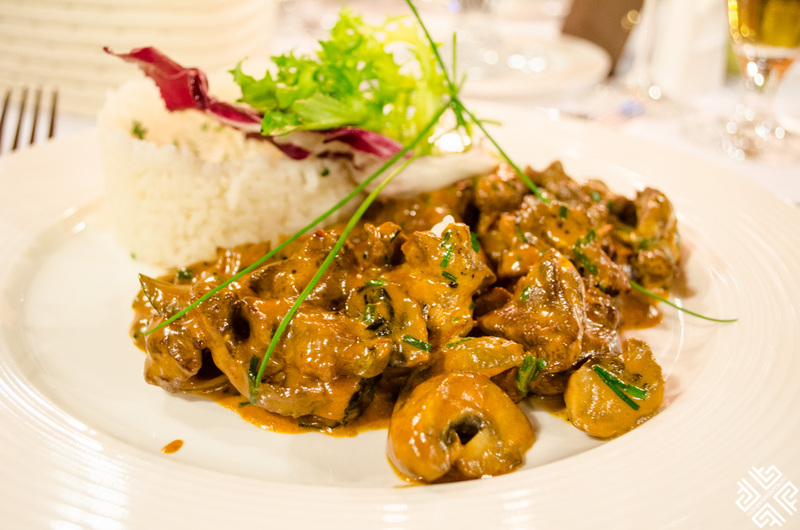 The restaurant is a place where each meal becomes a celebration where you can savour gourmet dishes prepared using the finest locally sourced ingredients. 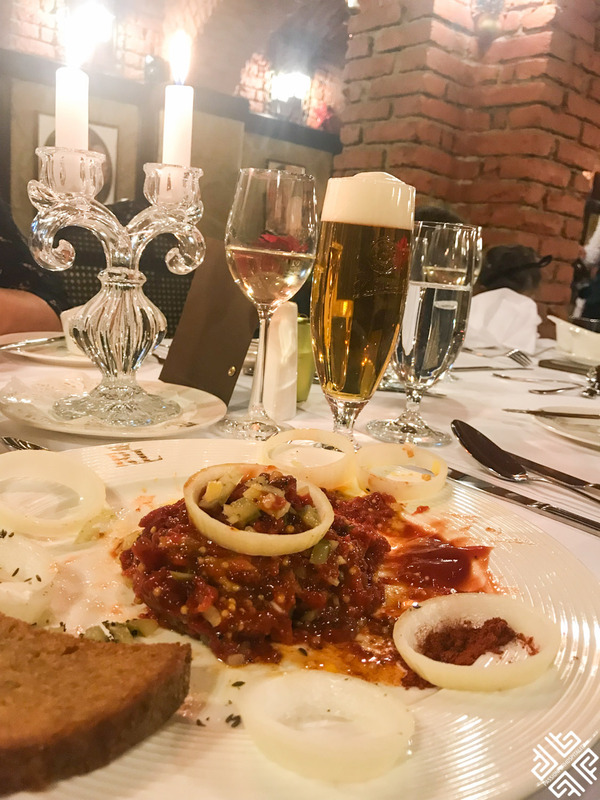 Everything from duck dishes, fish sourced from the sister hotel Vetrov, fresh meat, chicken, goulash, pasta dishes, exquisite soups and salads. 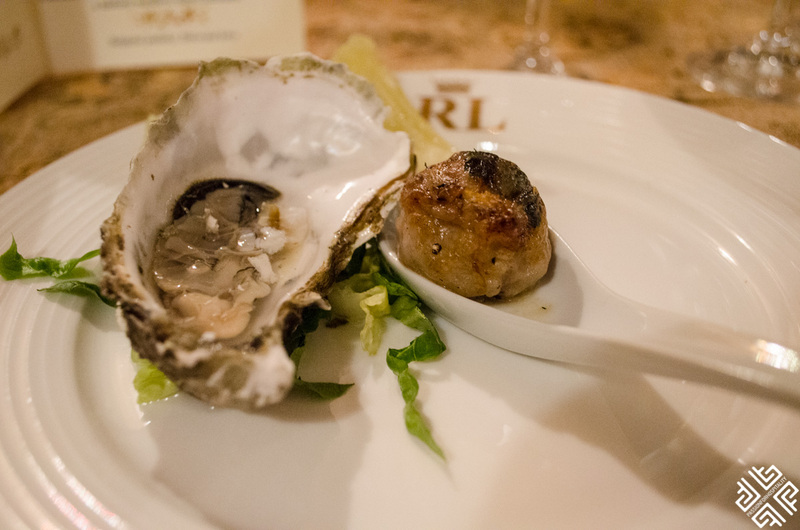 We dined at the restaurant three evenings and everything I tasted was exceptional. 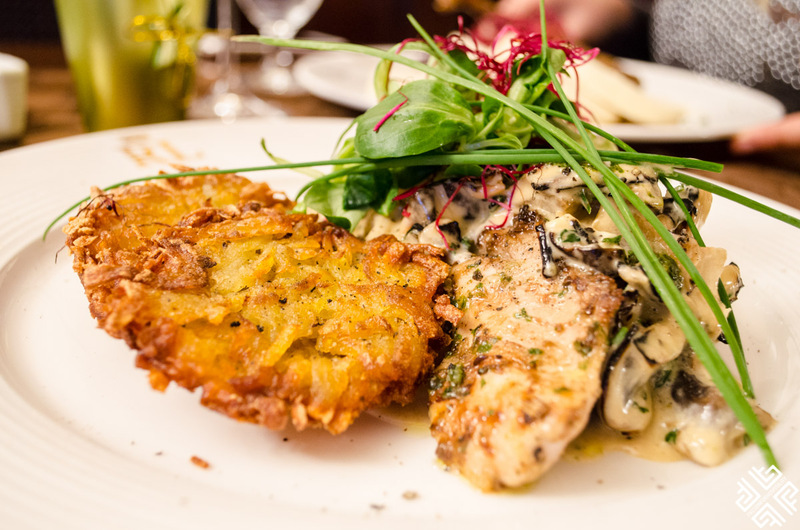 I especially enjoyed the Zurich chicken served with a white mushroom sauce and potato fritters. 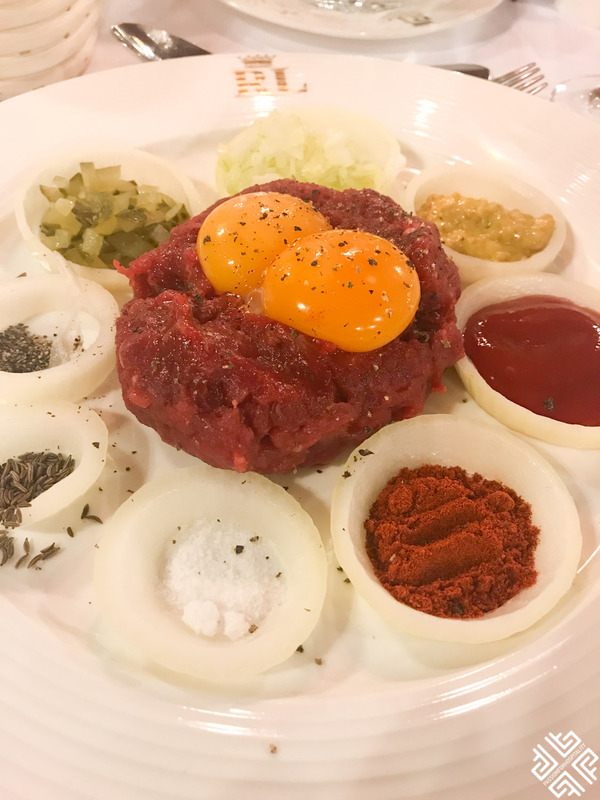 If you are a fan of steak tartar here you can savour a traditional Czech recipe where all the ingredients are mixed in front of your eyes. 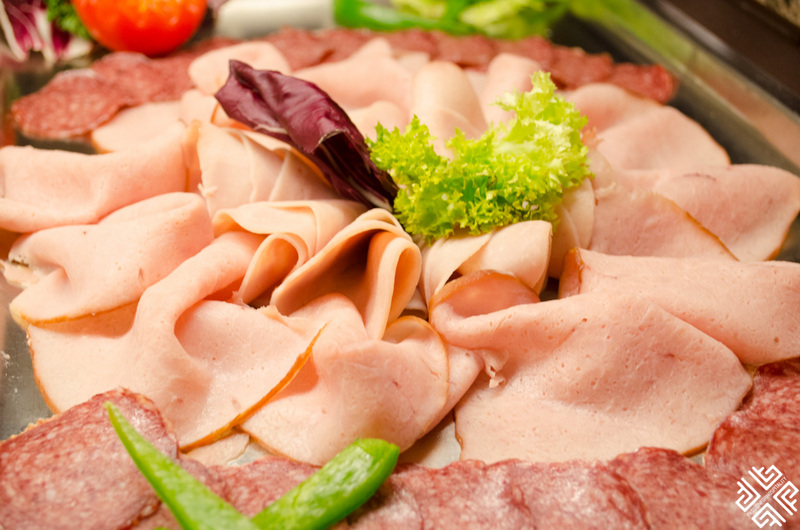 Make sure to pair it with a glass of locally brewed beer. 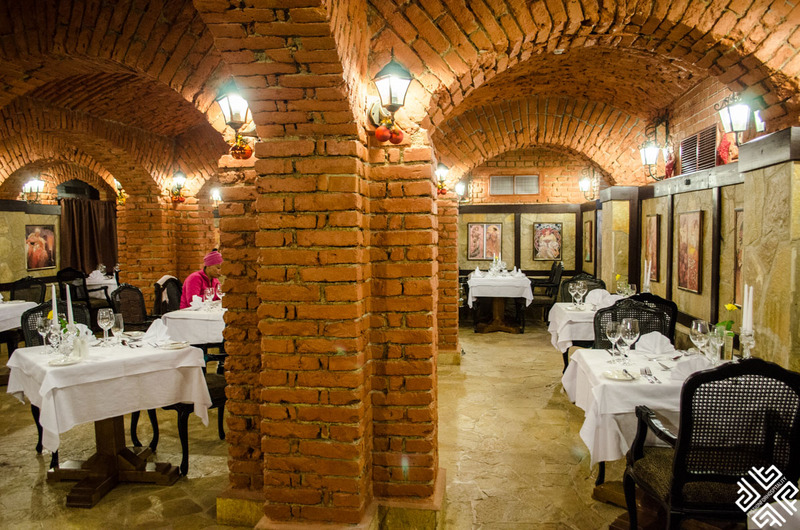 The hotel’s historic wine cellar with its brick walls is an ideal setting for an exclusive tasting session to sample the wines of Czech Republic which are mainly produced in Moravia and a smaller selection from the famous wineries of Bohemia. 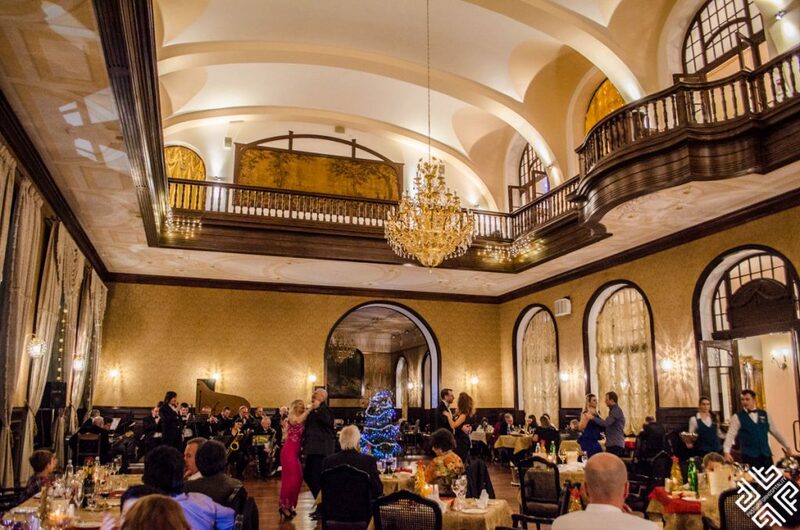 One of the highlights of our stay at the Rubezahl Marienbad Luxury Historical Castle Hotel & Golf was the New Year’s Gala dinner which took place in the main restaurant/ball room. 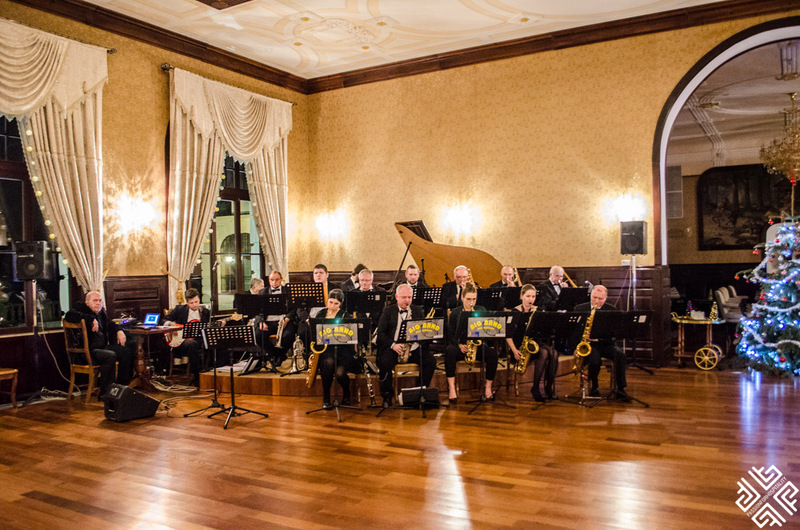 A live orchestra which consisted of 16 people and a singer played throughout the evening. This was one of my most memorable New Year’s until this day. A seven course meal was served for the occasion. 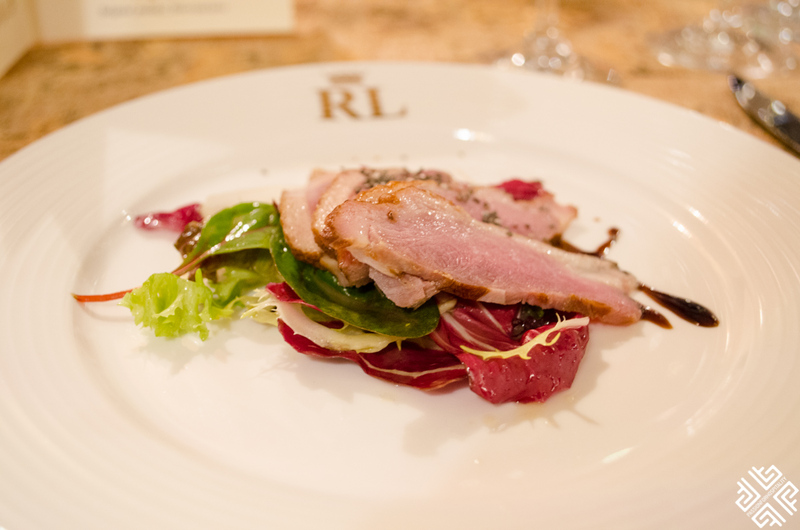 We started with an amuse bouche which was a fresh oyster and truffle crépinette paired with a glass of Prosecco, followed by a cold starter of finely sliced smocked duck breast served on chicory salad and topped with a luxury blackberry-fig sauce. 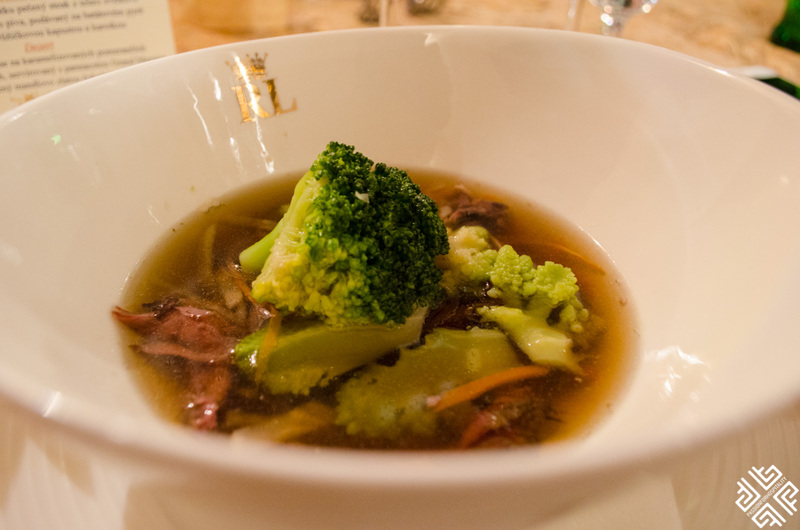 Next on the menu was a strong deer consommé with meat and vegetables flavoured with a drop of ages sherry. 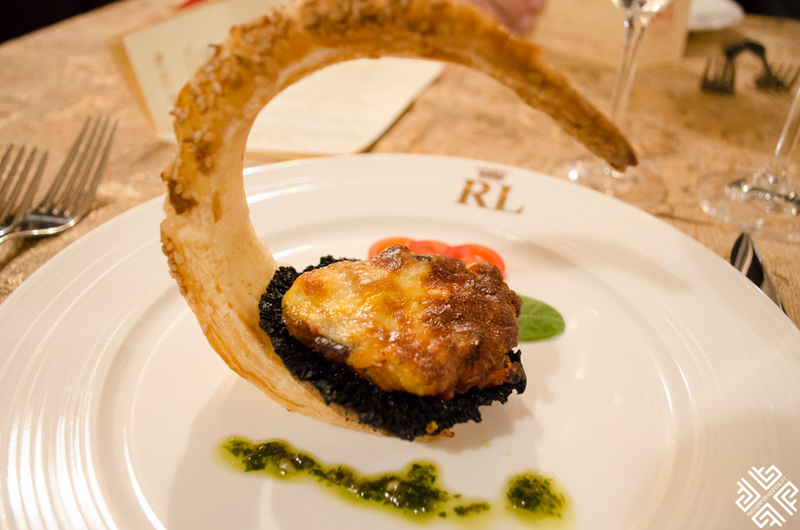 As a hot appetiser we were served a beautiful basket made of layered yeast-leavened dough with a roasted portobello mushroom cap filled with slightly spice vegetable ratatouille and topped with gratinated Mornay goat cheese sauce. The sorbet made with wild raspberries filled with Italian Prosecco was an excellent choice to change the taste before the main course. 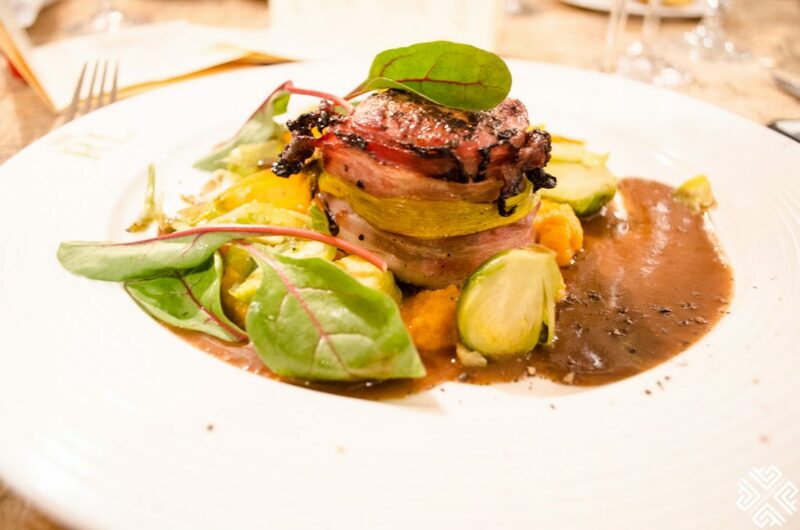 For the main course which was presented with a cloche which was graciously removed we had a fine veal fillet steak wrapped in a Black Forrest bacon, baked in a dark beer sauce accompanied by mashed sweet potatoes and glazed Brussel sprouts with carrots. 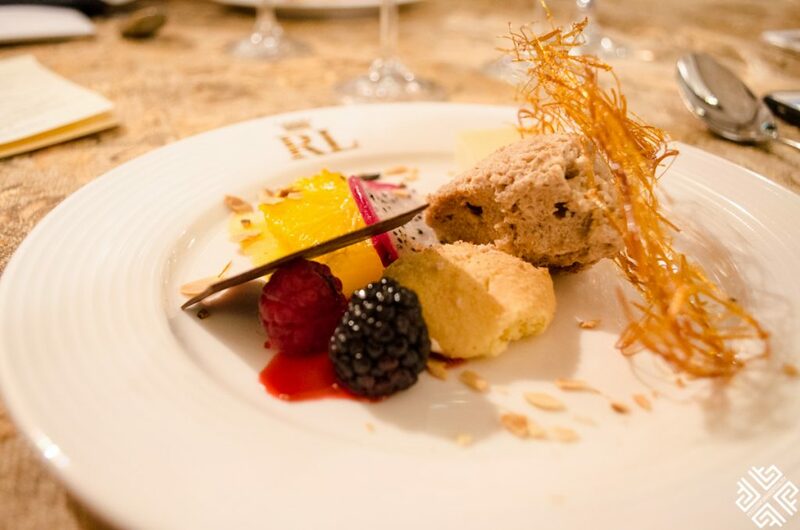 For dessert there was gingerbread mousse on caramelised oranges and homemade sponge cake, almond chocolate with edible gold flakes and Grand Marnier panna cotta. 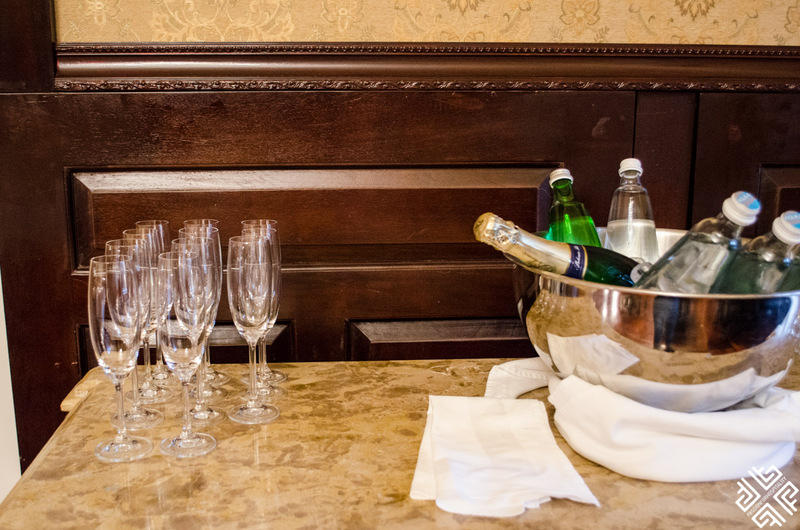 Just before the clock struck midnight all the guests were served with a glass of chilled champagne to welcome the New Year. We witness the most magical fireworks show which felt like being in a real life fairy tale. Afterwards guests lit sky lanterns and watched them disappear into the sky. 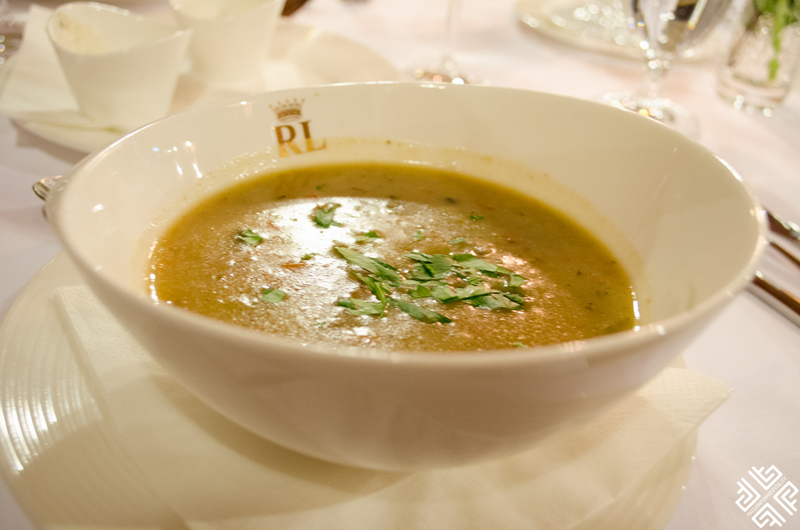 Rubezahl Marienbad Luxury Historical Castle Hotel & Golf is also a fantastic destination for those who are looking for a wellness retreat. 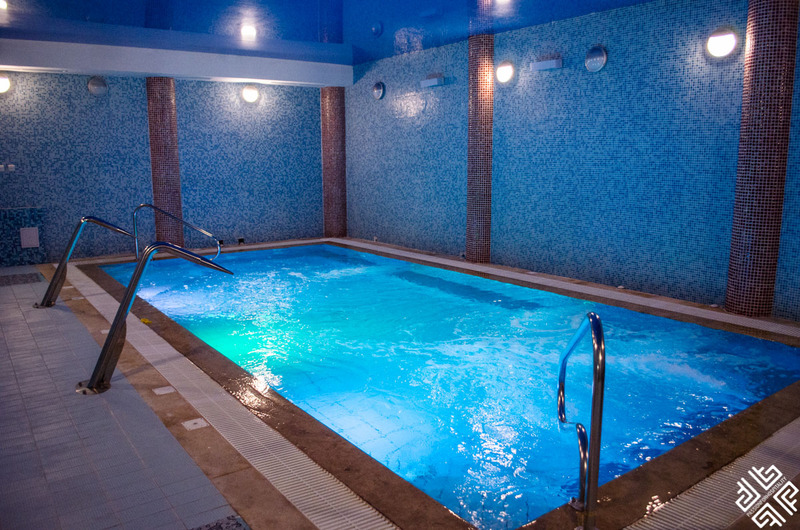 In the space dedicated to relaxation you can enjoy the Jet pool, hammam and sauna. 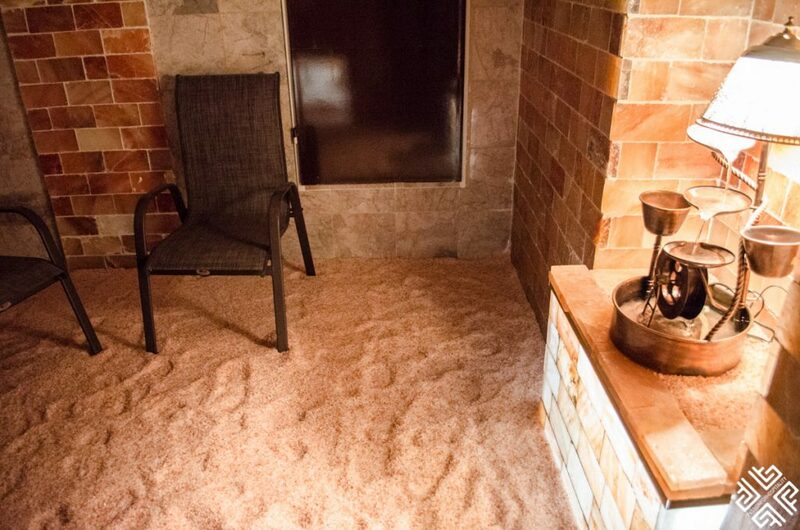 There is also a salt cave which is made out of a combination of salt bricks and grounded Himalayan salt. It is especially helpful in treating respiratory ailments and allergies, great for anti-stress and relaxation, which helps to improve your overall wellbeing, promotes better breathing and guarantees good sleep. 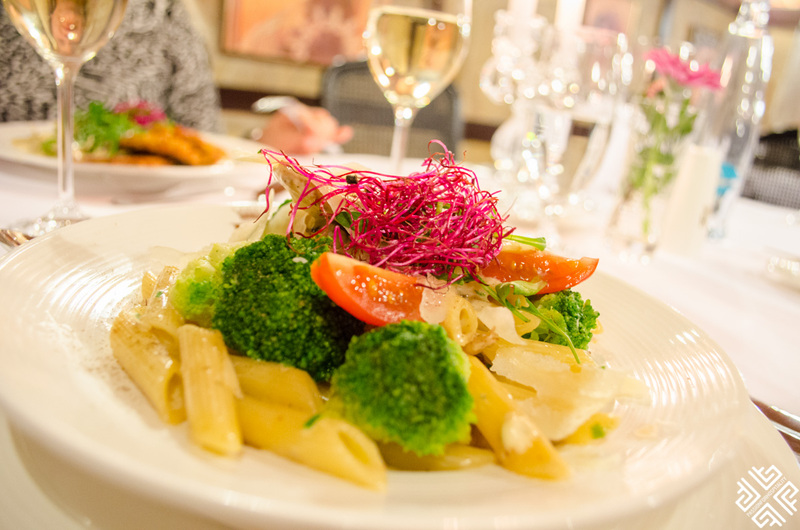 There is a selection of wellness programs such as weight loss, burnout syndrome treatments, Roman Irish Bath and massages for different tastes and needs. I had a Lava Hot stone massage at it was excellent. My therapist is Indian and he was absolutely exceptional. 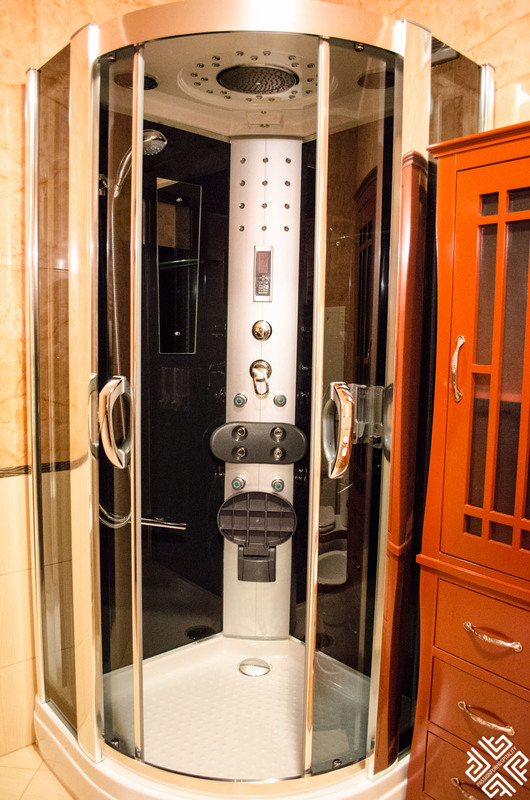 The treatment left me relaxed and rejuvenated. The hotel also features a gym which is free of charge for the hotel guests. 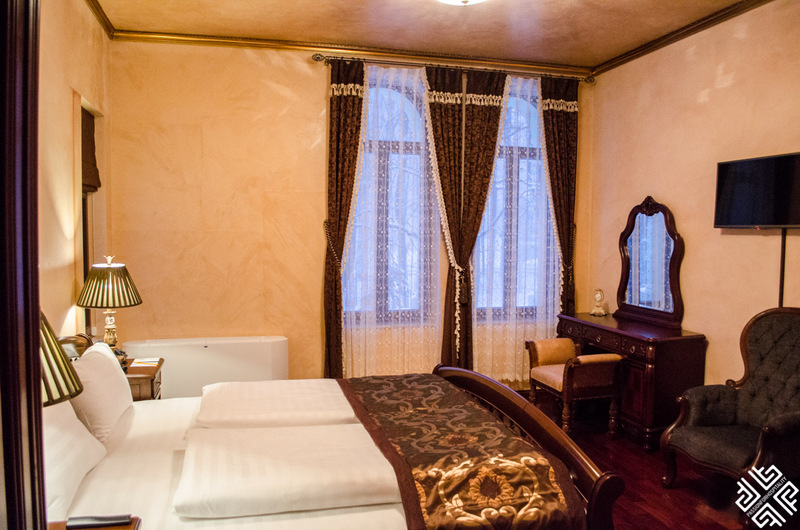 This luxury caste hotel enjoys a prime location and provides easy access to all the major attractions and activities in the area. Just outside the hotel grounds guests can access the Ski Resort. The Skiareal Marianky reaches lengths of up to 1600 meters and offers terrains of several difficulty levels. 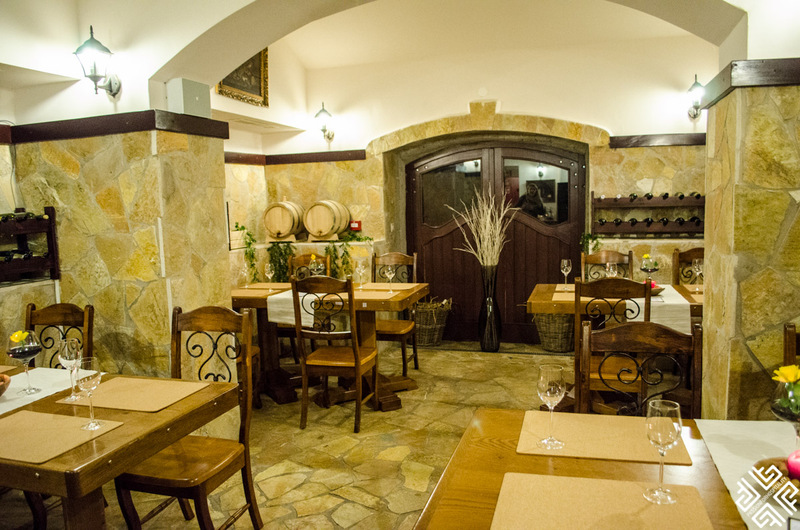 Guests can also enjoy horse riding which is located 50 meters from the hotel. 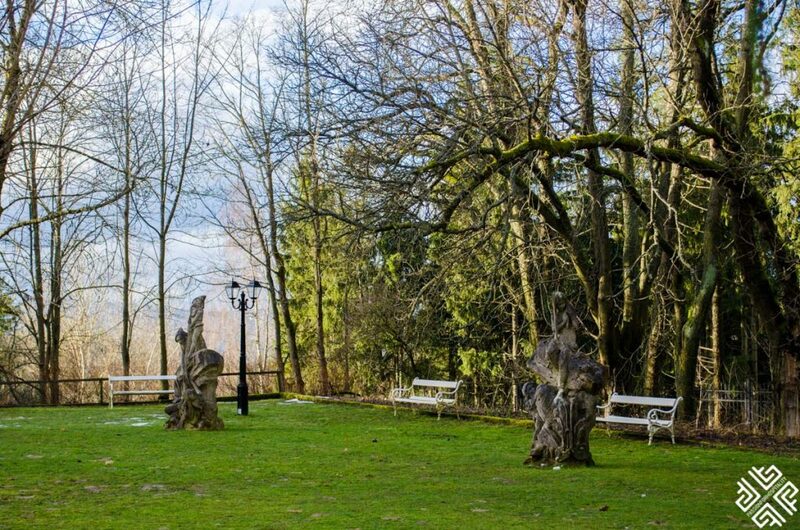 There is also a protected deer area just a 10 minute walk from Rubezahl Marienbad Luxury Historical Castle Hotel & Golf. 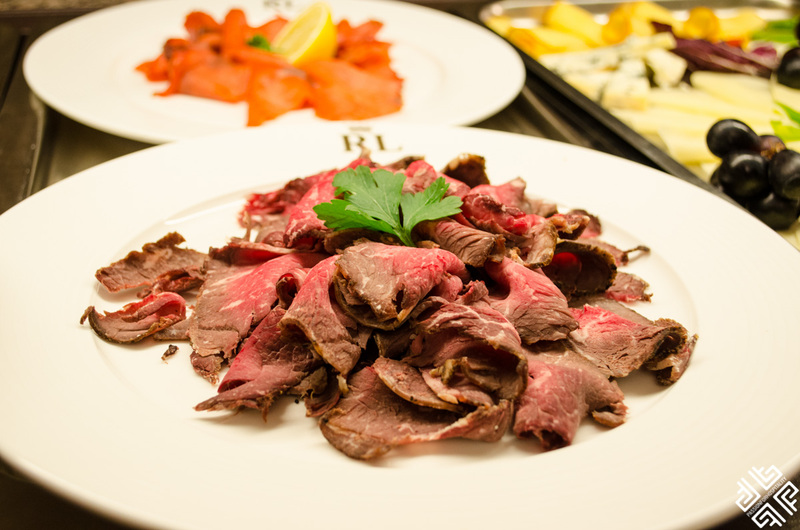 The Royal Golf Course which is the second largest course in Europe is located 800 meters from the hotel. 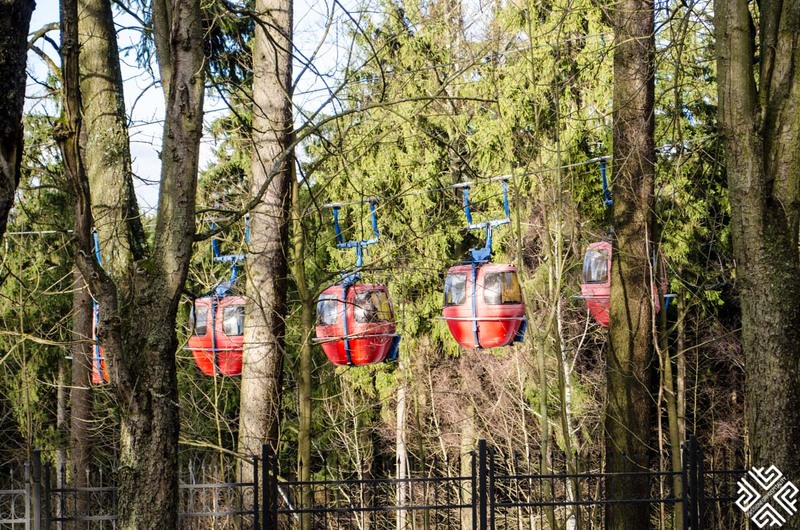 Guests can either walk there or get a hotel transfer for free. 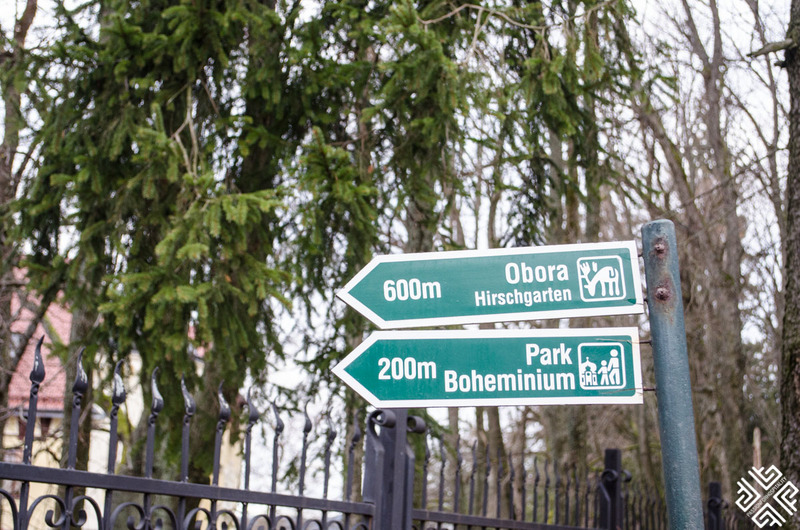 Other activities include cycling and walking in the forrest, there are numerous marked paths in the area, visit Park Boheminium which is right outside the hotel and features miniature replications from all over the Czech Republic – castles, palaces, engineering landmarks and observation points. For those who enjoy casinos will be impressed with the Casino Bellevue, which is 20 years older than the Monte Carlo Casino. 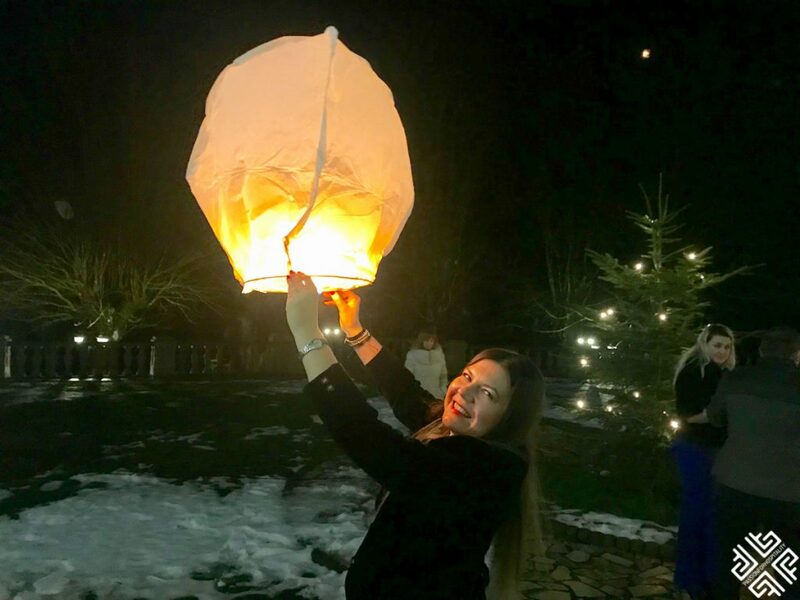 My experience of celebrating the New Year at the Rubezahl Marienbad Luxury Historical Castle Hotel & Golf was beyond magical. 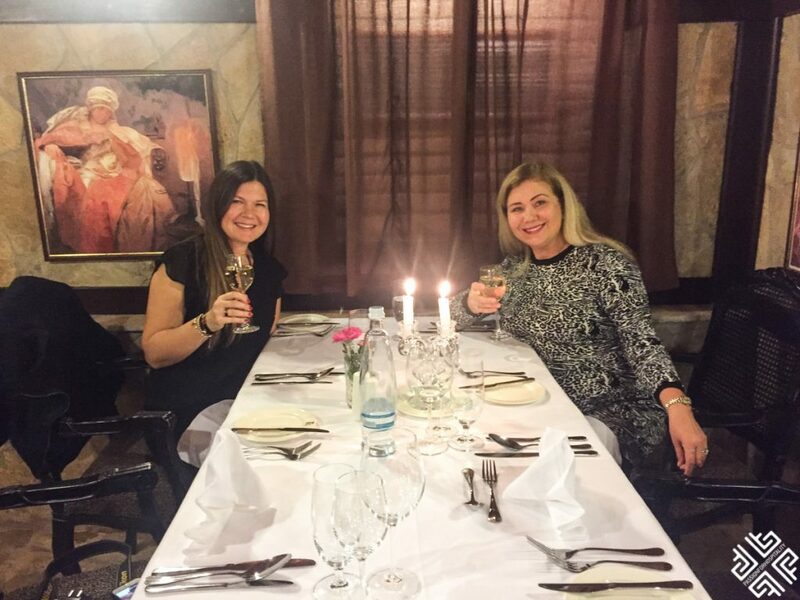 It was like a step back in time, that made me feel like one of those royal guests who would escape to this magical palace to wine, dine and relax. 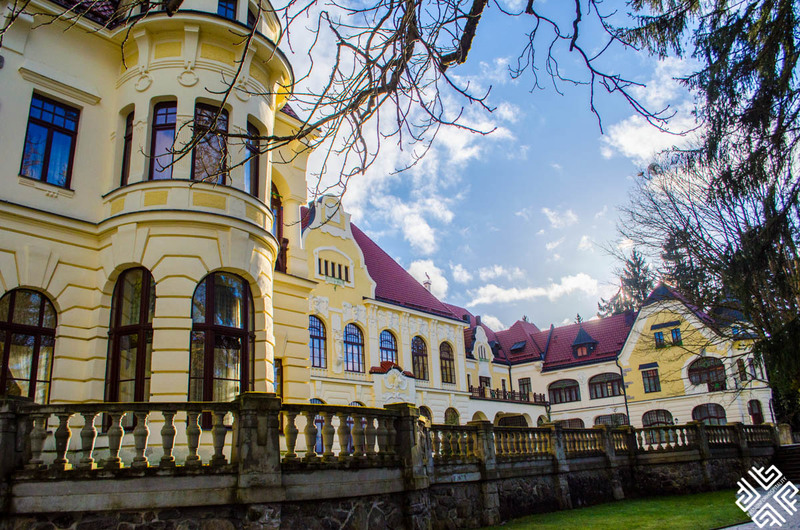 If you are planning to visit Czech Republic and want to live like royalty then a trip to Marianske Lazne, Rubezahl Marienbad Luxury Historical Castle Hotel & Golf should definitely top your list of historical places to visit in 2018. 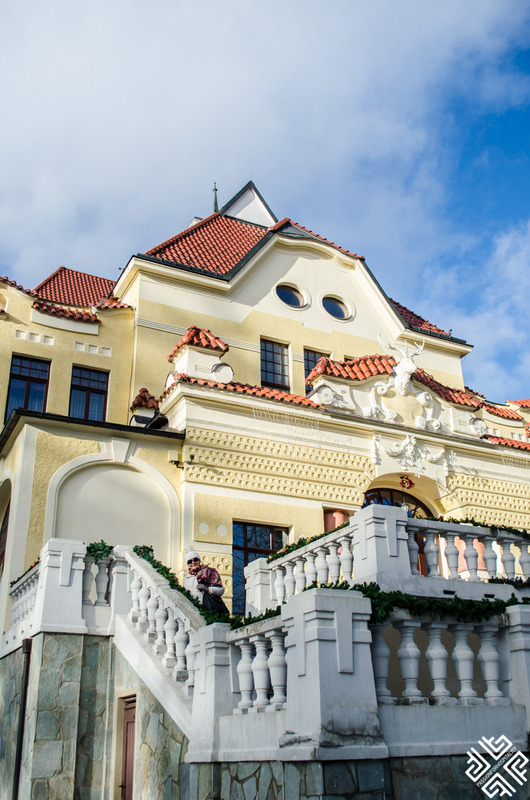 Have you been to Marianske Lazne? What did you like best about this spa town? WOW what a palatial property and so beautifully written! Reading this post made me feel as though I’m personally there, however I did just literally add this to my bucket list (and I’m definitely willing to do the hop around the statue for my wish to come true lol)! Thanks for sharing the beauty of this fairytale place. I’m so glad I just discovered this blog, it is truly unlike any other one I’ve ever came across before, thank you for sharing!!! Marina thank you very much for your kind words. Yes it was a very hard job hopping on one leg around five times but definitely worth it is you set the goal! I was left completely breathless lol but I managed. I do hope you get to visit this wonderland. It was magical! 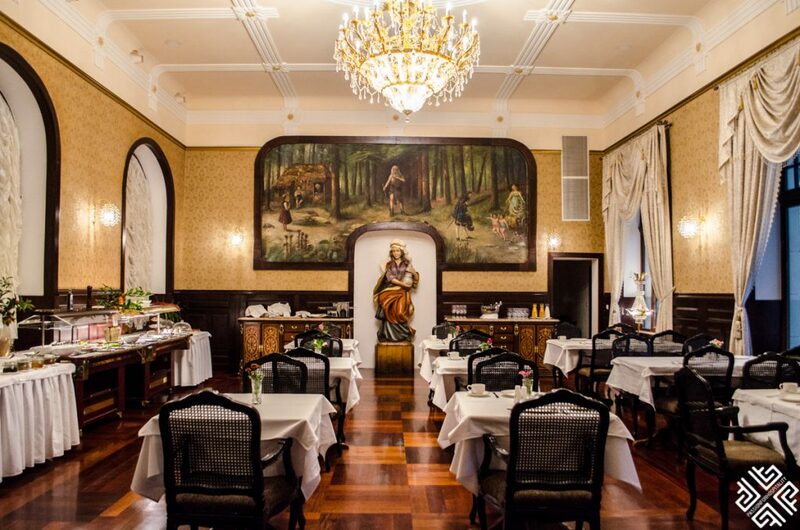 Bonsoir, j’ai fait le tour de ce magnifique hôtel l’Ancien Krakonos, où je suis allée prendre un café en 1989, plus rien à voir avec l’original de l’époque. depuis j’y venais tous les ans et même plusieurs fois par an, et je venais toujours voir le Dieu de la forêt, à un moment donna, les nymphes étaient déplacé comme abandonnées .mais on y avait toujours accès, l’hôtel était à l’abandon, il y a même eu des fonds européens pour le restaurer. Maintenant il y a un grillage tout autour et nous sommes obligés d’entrer par la cour de l’hôtel pour avoir accès aux statues. C’est dommage.